We all know that the United Arab Emirates are known as one of the most modern and fast developing countries, but at least for the moment they have forgotten about one rather important thing in their development – good public transport. However, why bother with the establishment of regular bus and metro lines, when the price of gasoline is at least half the price compared to ones in Europe. This is perfect for locals who like to drive huge and especially greedy cars. The year is almost over, the last one standing is December – the month, most of us connect it with holidays, snow, family and Christmas fairs. Nevertheless, the last month of the year is not reserved only for mulled wine, gingerbread and other sweet stuff, but it is also excellent for longer vacations somewhere in a warmer part of the world. When we planning a trip we always take care of comfortable accommodation, do a research how we will get from point A to point B, sometimes we even select where we will eat… Everything with a reason that we will enjoy our vacations without any worries. However, we forget the most essential – our health and our finances, if something goes wrong. When we travel, we are usually braver, we do different and often more adrenaline stuff, eating food we would never have tasted back home, we walk through unknown paths and we mostly do not realize that there could be anything but a pleasant surprise right around the corner… and here travel insurance comes in. We can choose among many providers, so it is always difficult to pick the right one. Maybe you can trust our judgment and choosing travel insurance with CORIS. Why? Because they are specialized for foreign countries, have range of all kinds of offers and an additional plus – they are available 24/7. Unfortunately, we all know this words – disaster never rests. Before every trip, we write down a list of things that should be urgently needed on the road. There are of course clothes, all kind of technology, toiletries and other matters. In this part of planning a journey, most ladies faces with really serious difficulties. Anyway, which are those things you really need while traveling and you will regret, if you did not took them with you? Who would have thought we are already in October and mid-autumn? Time is passing by like crazy! Summer is over; the first parental meetings are behind, students we know how busy the first week on a college is :)… so now it is high time for the last summer-like holiday before the winter comes in. The United States are not just megalomaniac cities and concrete jungles, which we know from various films… There are also many beautiful national parks, deserts, small cozy villages and much more. It may seem that America has become our place to be – in two years; we visited it for three times. However, this time was a bit different, we went on a 16-day American road trip: from San Francisco through Las Vegas to Los Angeles. Therefore, if you are one of those who enjoy being behind the wheel and drive on long, straight roads, then our itinerary through western part of North America will be perfect for you. Do you have couple more vacation days left? Do you miss some sunbathing and swimming in the sea already? On the other hand, would you just like to charge batteries before the college start again? There are quite a few places, where you can catch early autumn, but still warm sun for beach lounging, exploring cities, sitting in bars and pampering yourself with culinary specialties. After the summer season, the prices of accommodation are significantly lower and there are fewer tourists, so you will definitely find a place for your towel on the wonderful beach. Those are just couple of reasons, why traveling in September is always a good idea… What do famous travel websites recommend for this month? 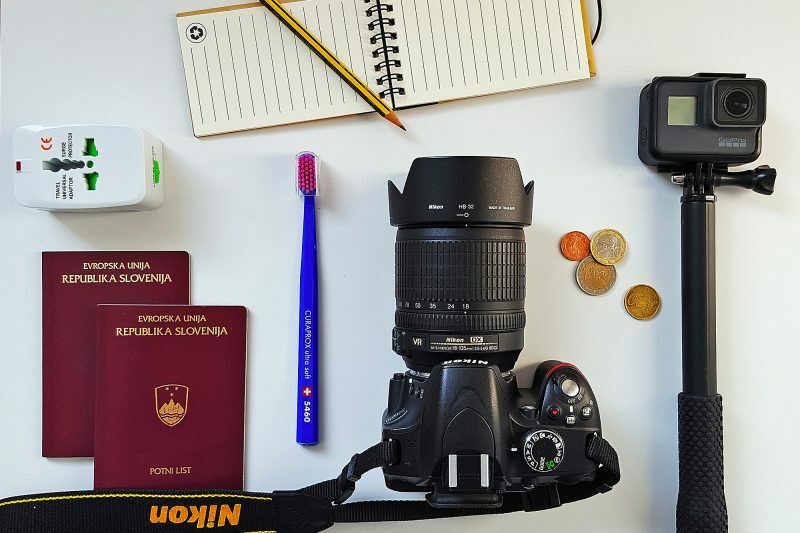 Lately we get many questions about how do we organize our trip, where we reserve airplane tickets, transportation, where do we find accommodations and so on. For many, these things seem to be very complicated and time consuming, but they are all aware that they can save a pretty bunch of money if they do this on their own and do not go to a travel agency. Well, that is exactly why we decided to trust you how our organization looks like, whether we are going to the other end of the world or just a few miles away from home. Spring in March is already at our doorstep (finally!). We assume that like us, you are slowly getting tired of winter temperatures, gloomy shorter days and day-to-day of tearing the ice off your car’s windshield. It is time to go on vacation in warm places and below we listed some suggestion based on famous travel magazines. There are quite few interesting destinations. We watched our first NBA game at the Barclays Center in Brooklyn, where home team Nets played with their neighbors from Boston, with legendary Celtics. A modern, only a few year-old arena, which can accommodate over 18.000 spectators, was filled to the last seat. One of the important information before watching the NBA spectacle is definitely that it is forbidden to bring any camera or DSLR to the arenas, but those rules won’t stop Saša, so she, with a great deal of ingenuity, despite the strict rules brought all of our photo equipment inside. Believe us, without all of these photos, this post would be very boring.